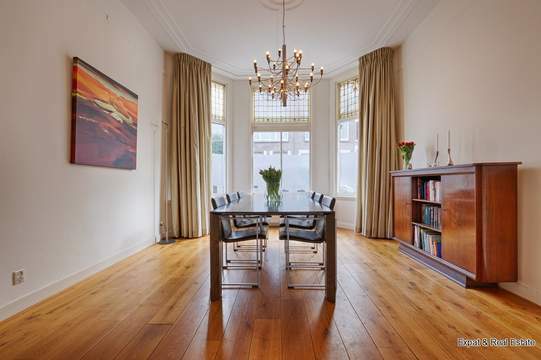 VERY SPACIOUS FAMILY house of 180 m2. The house has an open kitchen with all modern appliances, 6 bedrooms and 2 bathrooms. Also, the house has a front and back yard. The back yard is located on the water and is located on the Southwest! 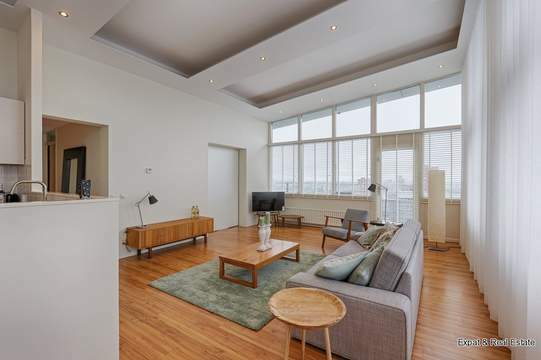 entrance hall, toilet with sink, spacious stairs cupboard, spacious living room with French doors to the garden which is located on the waterfront. At the front a luxury kitchen with beautiful view over the Park. The kitchen includes a granite worktop, fridge, freezer, dishwasher, extractor hood, oven, ceramic hob. landing, master bedroom with access to the bathroom which is equipped with a bathtub with separate shower and washingtable. 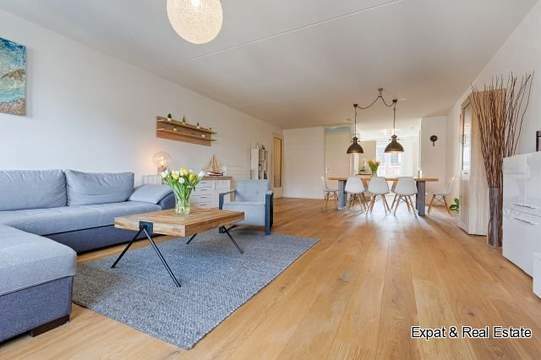 Two bedroom at the rear of which one has access to the roof terrace with unobstructed views. Separate toilet. spacious landing, 2nd bathroom with a shower and washing table. 3 spacious bedrooms.